A classy combo of wearable hues, Neutral enough to don day to night. 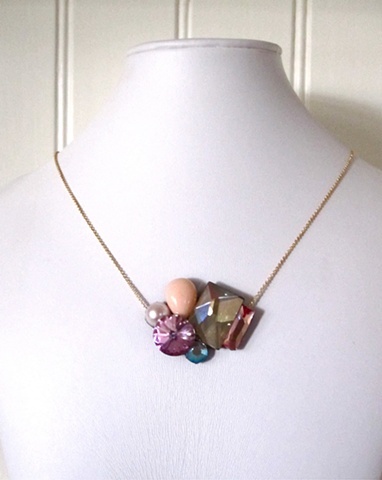 Spread some sparkle, Gold filled chain and length adjustable. Swarovski Elements, the best of the best. See it, Need it, Love it, and Handle with Care.